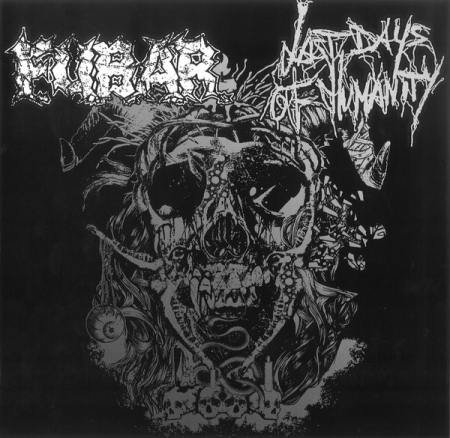 Last Days Of Humanity: "These unreleased tracks were recorded in 2006. 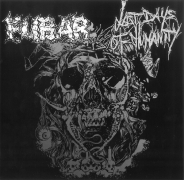 Remastered and vocals recorded in 2014 at Dirty Bird Recording Studio, Hoogeven"
FUBAR recorded, mixed and mastered early 2016 Perimeter Audio. 10" size cover including an insert. 100 yellow / purple splatter copies out of a total pressing limited to 500 copies.